Capacitor discharge welding and MFDC resistance welding are the two most advanced technologies applied in the field of resistance welding. 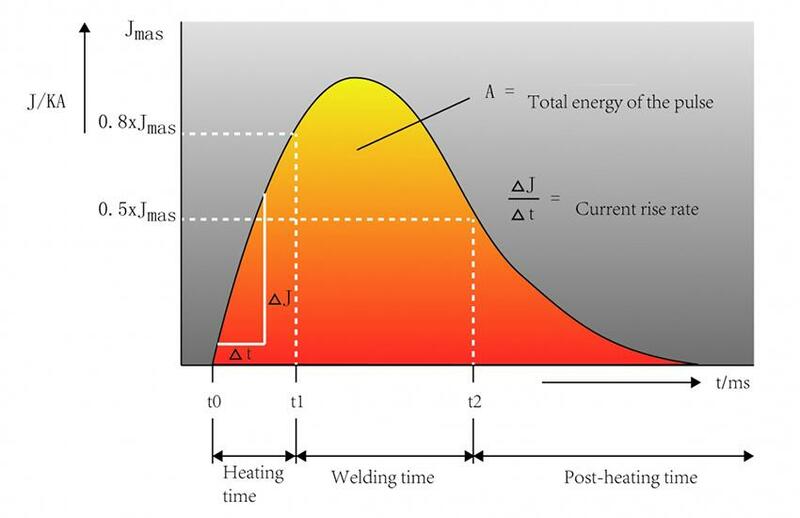 These welding techniques were designed and implemented due to the energy efficiency increases compared to traditional AC and three phase DC resistance welding methods. They are also superior thanks to the ability to weld a wider variety of materials including high strength steel, heat-forming steel, copper and copper alloys, aluminum and aluminum alloys, etc. Capacitor discharge welding technology utilizes a discharge method that runs through specially designed capacitors to transform a large current pulse. Energy stored in these capacitors can be released in under 20 milliseconds and the maximum short cut current can reach up to 1000KA. Welding machines that use capacitor discharge welding technology are disconnected from the power grid during the welding process. This removes the risk of power grid fluctuations from influencing the welding quality of the machine. The welding machines only require a minimal amount of charging time and can complete charging work in 500~900 milliseconds. 1. Capacitor discharging welding machines feature a higher concentrated welding energy. 2. This kind of capacitor discharging welding technology places minimal stress on power grids. 3. The machinery is free from interference caused by power grid fluctuations. 4. Reliable quality during manufacturing with highly repeatable results. 5. Capacitor discharging welding technology provides higher efficiency compared to traditional technologies. 6. 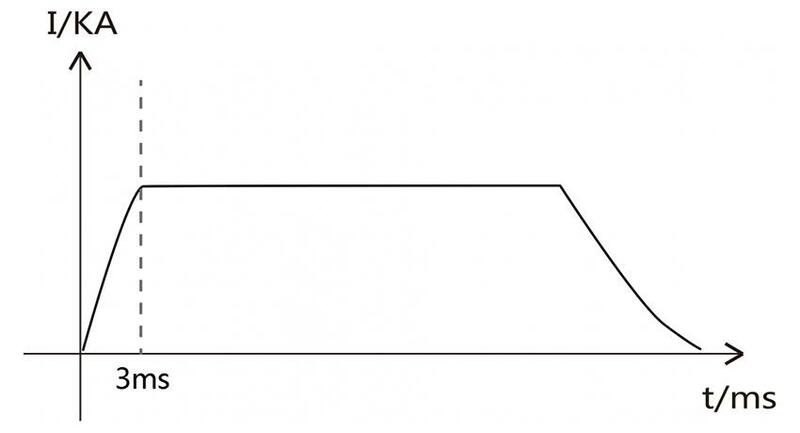 Minimal welding heat affected zone. This allows the welder to be used on heat-forming steel, galvanized steel, and other complex metals. MFDC resistance welding technology was developed to transform 50HZ power supplies into 1KHZ /2KHZ/4KHZ/10KHZ or even higher with the assistance of an inverter. It will then output DC current after voltage reduction and rectification through medium frequency transformers. Due to the high frequency power supply, the dimensions of the transformer can be reduced. MFDC resistance welding also features extremely short welding times and can be timed in milliseconds. 1. MFDC resistance welding technology provides highly concentrated welding energy. 2. The technology can reduce power grid demand by as much as 50%. 3. The control of current is highly precise, resulting in stable welding quality. 4. MFDC resistance welding technology contributes to manufacturing with reliability and repeatability. 6. Small welding heat affected zone. This allows the welder to be used on heat-forming steel, galvanized steel, and other complex metal materials. The quality of resistance welding can be affected by many different factors during the welding process. Welding parameters and weld quality are carefully inspected, however some welds are not always suitable. These defects can even be invisible to the naked eye. To remedy this issue, Heron has developed a quality monitoring system that can test the welding parameters that affect weld quality and upload the findings in real-time to minimize errors during use. The processing system will track the welding conditions and message the operator if a quality risk is detected by the software in under a second. The operator can then remove defective welded components and begin operation again.